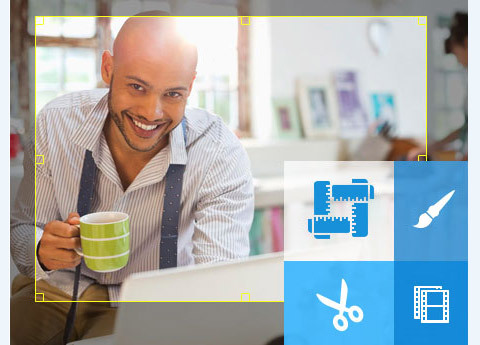 Tipard TS Converter for Mac, one striking Mac TS video/file Converter for Mac users. This Mac TS Video Converter converts TS file to AVI/MPG, WMV, FLV, SWF, MOV and all the popular video formats on Mac. With Tipard TS Converter for Mac, it's easy to get music from your TS video and other files, or from MP3, MP2, AAC, AC3, WAV, WMA, M4A, RM, RAM, OGG, etc audio files. 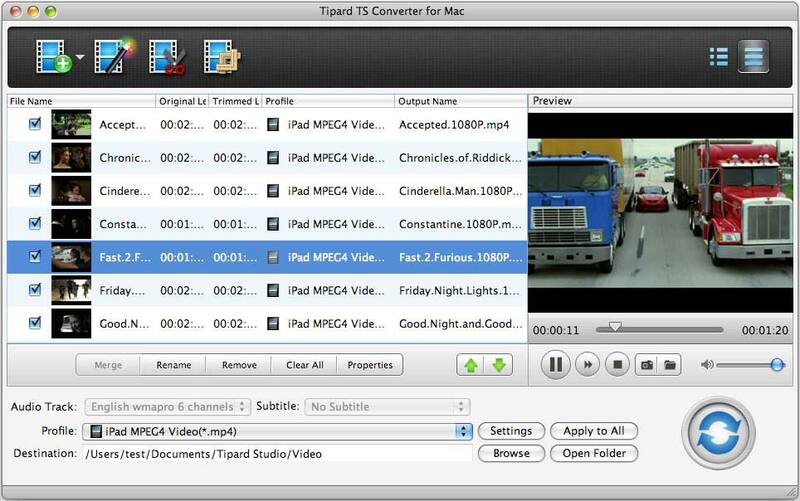 Tipard TS Converter for Mac owns the solution to convert TS file to AVI/MPG, WMV, FLV, SWF, MOV, and so on. 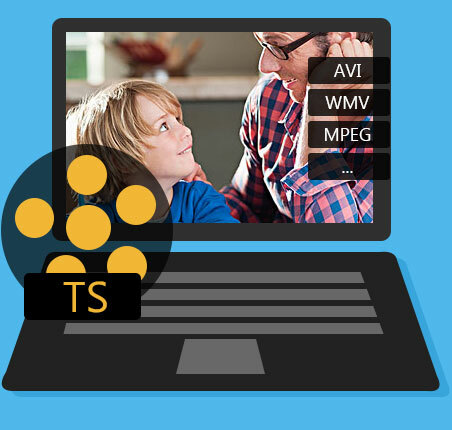 Convert MPEG to TS, TS to MPEG, and other formats to TS file in lossless video/audio quality. Tipard TS Converter for Mac can help you trim video file and join several pieces together as a single one. 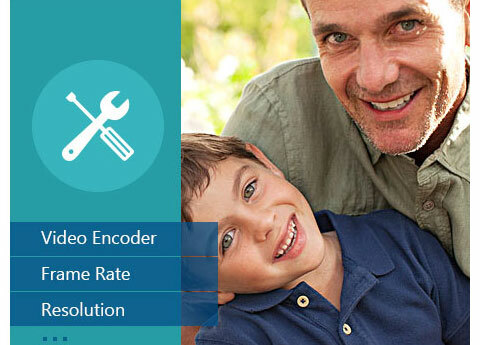 This powerful TS Converter for Mac provides the function of adjusting both video settings (Encoder, Bitrate, Resolution, Frame rate) and audio settings (Encoder, Sample rate, Channels, Bitrate). Tipard TS Converter for Mac can convert one video to different formats simultaneously making the conversion faster and easier. 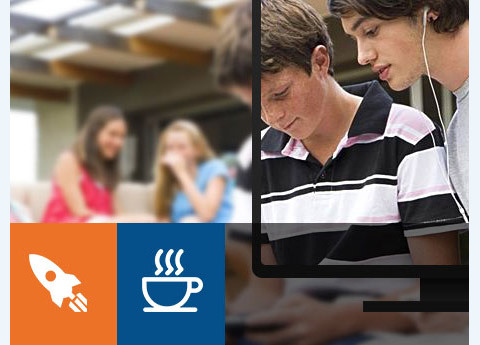 The Mac TS Video Converter allows you to preview the original video and output video effect simultaneously. And you are available to capture favorite picture when you preview. Convert M2TS to all popular videos on Mac with this product.